This article discusses who the magi were, where they came from and why they would travel to Bethlehem from a foreign country to worship a Jewish king. WHAT INFORMATION DOES THE BIBLE PROVIDE ABOUT THE WISE MEN (MAGI)? The only biblical account of wise men (Magi) arriving in Jerusalem looking for one “born King of the Jews” is found in Matthew 2:1-12. After being warned in a dream not to report back to Herod where the Jewish king child was, the Magi returned to their country in the east by another route (Matt. 2:12). Rather than finding the “baby” Jesus lying in a manger, Matthew 2 indicates Jesus was a child (not a baby, but less than two years old) by the time the Magi arrived in Bethlehem (more>>). Nothing in Matthew’s account indicates Joseph, the shepherds or angels were with Jesus and Mary when the Magi arrived in Bethlehem (Matt. 2:10-11). TRAVEL TO BETHLEHEM TO WORSHIP A JEWISH KING? Moreover, both Rick Larson and Hugh Ross (a proponent of the recurring nova proposal for the Christmas star (more>>) suggest the Magi referenced in Matthew 2 may have been part of the legacy of the Jews who were transported to Babylon from Jerusalem after King Nebuchadnezzar II of Babylon besieged Jerusalem in 605 B.C. Babylon at the time of Nebuchadnezzar II, 600 B.C. At the time of Jesus’ birth, Babylon was part of the Persian Empire having been conquered by Cyrus the Great (king of Persia) in 539 B.C. [See, Rick Larson, The Bethlehem Star, DVD (2006); Hugh Ross, “The Christmas Star” (updated 11/2010)] Babylon remained part of the Persian empire until about 650 A.D. Babylon is presently located approximately 55 miles south of Bagdad, Iraq. Hugh Ross finds it particularly interesting that the only two items of information the Magi knew when they arrived in Jerusalem were the same items of information referenced in Daniel’s prophecy recorded in Daniel 9:25: 1) One had been “born king of the Jews”) (aka, the Anointed One — the Messiah) and 2) the time of his arrival. Notably, the Magi asked Herod where the king was so they apparently were not aware of the prophecy recorded in Micah 5:2 which foretold where the Messiah would be born — Bethlehem. Regardless of their particular heritage or beliefs about the God of Israel, Magi visiting other countries was not a particularly unusual event in biblical times. Due to the limited amount of information disclosed about the Magi in Matthew 2:1-12, it seems imprudent to draw firm conclusions about their identity. 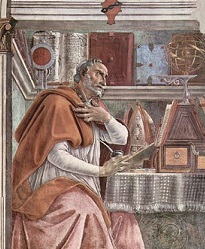 However, historical evidence outside of the Bible indicates Magi from the east of Jerusalem (Persia, including Babylon) were well-educated men who studied astronomy. Historical evidence further verifies Magi had a reputation of traveling to other countries to pay homage to foreign kings. Because Matthew’s account of the wise men (Magi) is consistent with extra-biblical historical descriptions of Magi from Persia, the account cannot be easily written off as made-up myth, as many skeptics attempt to do. Slideshow Photo: A 1698 painting of City of Bethlehem and surrounding area by Dutch artist Cornelius de Bruijin (1652 – c. 1726/27). The image was downloaded from www.wikimedia.org which states the image is a faithful photographic reproduction of a two-dimensional work of art which is in the public domain in the U.S. and countries with a copyright term of life of the author plus 100 years or less. 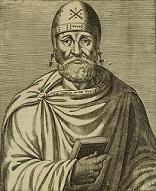 Philo of Alexandria: A portrait of Philo of Alexandria by André de Thevet (1516 – 1590) downloaded from www.wikimedia.org which states the image is in the public in the United States, and those countries with a copyright term of life of the author plus 100 years or less.